Ampache client library for desktop applications. Ampache Browser is C++ library that provides access to Ampache server via Qt graphical user interface. 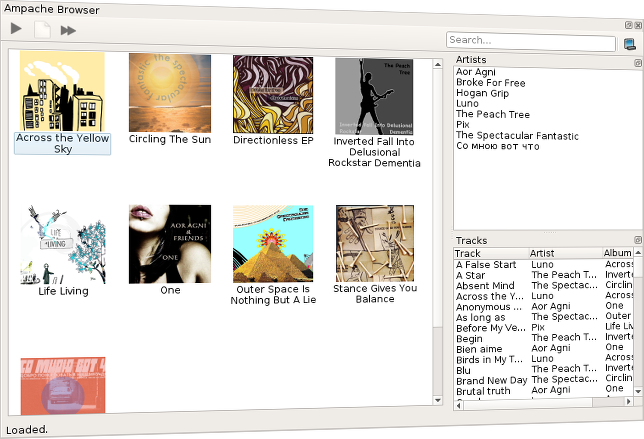 It allows simple creation of Ampache desktop client applications or plugins to media players with Qt user interface. Used by a plugin for Audacious media player. The plugin is available in Qt flavor of the player, since version 3.8. Free sofware licensed under GNU GPLv3 with source code available on GitHub.